Looking for discarded 'Turf' cigarette packets with a photo on the back. Penny caramels, luckie tatties, rhubarb rock, sherbet dips, soor plooms , cinnamon balls.... amazing I've still got my teeth! You could get wee wax bottles with some kind of cola inside. Saltcoats (and Stevenston, don't know about Ardrossan) having quality shops, 3 towns without neds. The spectacular views of Arran, especially at sunset. Get yee tae the Recollections page, Morag...waitin here wae bated breath....You're a story waiting to be told. Well no stress Morag we'll give you lots of time. Going trout fishing with my Granpa at either the Busbie or Mill Dams - usually the Busbie. Sliding on the ice at the Mill Dam & watching the people playing curling. Walking up the back road to West Kilbride & back down the North Shore. Going up the North Shore either to gather firewood or to collect seaweed for the garden. Going over to Arran on the Glen Sannox. Walking up Dalry Rd. to the Busbie Dam & then up over the hills & moors to the top of Knockjargon. Going shopping for either Mum or her Mum(Granny Kellie) on my roller skates. Snowball fights in Eglinton School playground. Flying the kite Dad made for me on the grass opposite the Central Ave. shops then losing my grip of the string & the kite landing on someone's nearby roof. Having kippers for tea along with Mum's rhubarb or apple pie. Getting the Clyde Coast bus up to the Fairlie Moor road end then with Dad & my Uncle walking up over Fairlie Moor & eventually back down Dalry Rd. to Ardrossan. Playing with the Trace Dad made me. Mum's home made fish & chips. When away camping with Dad & my Uncle Andy, the taste of tea from a kettle just used to cook kippers in - we'd forgotten the pan we usually use. I missed this topic when it first appeared as I've had a sucesssion of major computer disasters over - 4 failed motherboards (3 within 6 months & cause unknown) plus failed hard drive (my main or system drive) & was busy re-establishing my system. 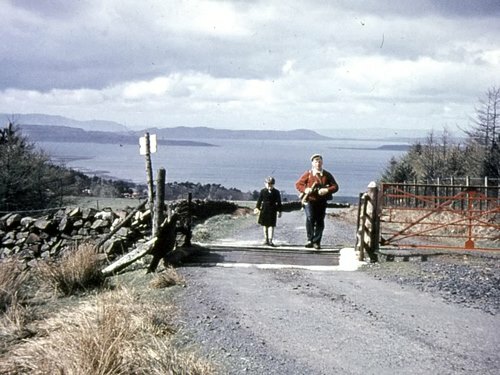 Bob Bryden wrote: Getting the Clyde Coast bus up to the Fairlie Moor road end then with Dad & my Uncle walking up over Fairlie Moor & eventually back down Dalry Rd. to Ardrossan. You got me there on Fairlie Moor, Bob. To me it is a magical place in the spring with the birds chirping. The view out over the Firth of Clyde is to die for - so peaceful and serene, it must be good for the soul. Will fit it in to the things I must do next year. 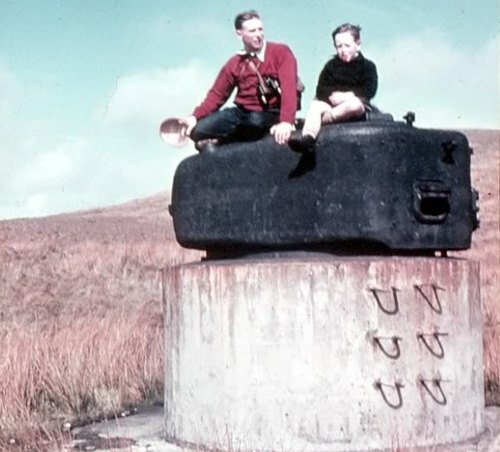 Here's a couple of slides of Dad & I taken on one of those Fairlie Moor walks Hughie. Last edited by Hughie on Sat Jul 08, 2017 10:18 am, edited 1 time in total. As for the rest of your post?.......Wish I'd lived in your world! Magic Bob! As you can see, I'm not the only one in awe of this legacy your Dad and uncle have left you. My regards to the man himself. 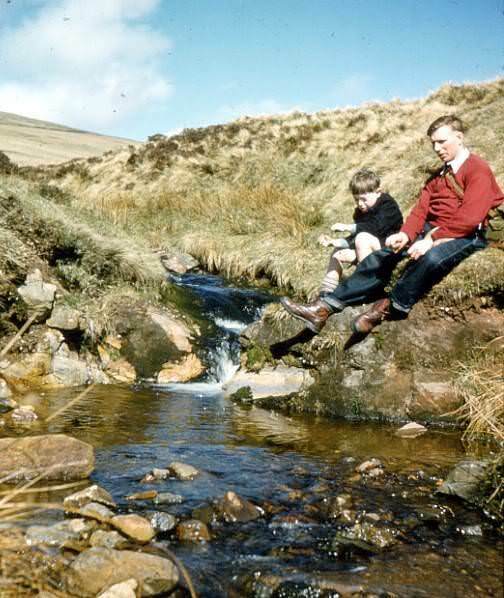 Hughie, here's the other picture which I think was taken during the same Fairlie Moor walk mentioned before - I'm not 100% certain though. We're dressed the same & the surroundings look similar. Last edited by Hughie on Thu Aug 09, 2018 9:14 pm, edited 1 time in total.